Wow... How does Colleen Hoover do it yall? Time after time she writes these ridiculously emotional novels that wreak havoc on my poor little heart, and All Your Perfects was no exception to that statement. This novel is a little darker than others that I've read from her, but it is so important and relevant to what so many people are struggling with in the world today. I don't want to give too much away and spoil it for you, so I won't dig too deeply. I love the fact that Hoover has the ability to tackle heavy topics with such elegance and grace. There were many times where my heart was hurting so badly for the characters, but Hoover's beautiful writing quickly turned my sadness into joy. The characters were complex and realistic and I felt myself truly connecting to them and their heartache... so much so that I may have cried in public while reading this novel. Oops! 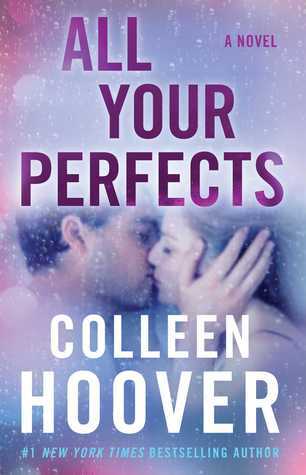 All Your Perfects is a beautifully written novel about heartache, love, second chances, and accepting the the life that you are given. It was perfectly addicting and heartbreaking. Colleen Hoover has done it again! 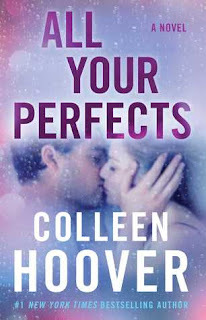 I would highly recommend this novel to readers who love contemporary fiction or other works from Colleen Hoover. Thank you to Atria books and NetGalley for sending this novel in exchange for an honest review. The story sheds light of communication and how important it is for a healthy relationship. How with time couples change their priorities changes and how this can effect the marriage.